City of Veils, the sequel to The Night of the Mi'raj / Finding Nouf is another crime novel set in and around Jedda in Saudi Arabia. It could probably stand on its own without the first novel - but it does continue some of the character relationships that were slowly established previously (after a gap of 8 months or so). The two heroes from the first novel are once again central to the plot: Nayir, a desert guide and very devout Muslim, and Katya, a woman working in the Forensics department of the Saudi police force. Two other big new characters are now part of the plot: Osama, a police officer who is more confident and less spiteful around women than many other men, and Miriam, an American woman who lives in Jedda. The story starts when a female body is found on the beach: badly burned, stabbed, beaten and decaying. Meanwhile, Miriam returns from a month-long holiday in America to be reunited with her husband, who promptly forgets to pick her up at the airport, and then, barely having brought her home, disappears. This is the tale of an investigation into the murder - and also the tale of an American woman suddenly isolated and alone in one of the scariest places on Earth to be a woman in. The premise is interesting, to say the least. The novel is a smooth read. This time, there is more tension worked into the plot. We're still not in serial-killer-territory, but there is a sense of peril around Miriam. The murder, this time around, is very obviously a violent murder rather than a possible murder. (In the first novel, it is an unexplained death for the longest time, and there is not much of a sense that more violence might occur). More tension in this book means a brisker pace - but there are also more characters, and this imbalances the novel a little. Not every plotline is as tense as every other plotline, so it can sometimes feel like one chapter is hitting the accelerator, while another is shifting down a gear and meandering a little. By far the most awkward angle of the novel is when it strays dangerously close into The Da Vinci Code territory. Its heart is never in it, and this is not a novel about religious conspiracies - yet there is a sprinkling of this in the plot, and as reader, I felt myself cringing and hoping that it would not develop into a Dan Brown clone. It never does - but it dabbles with the idea. Much of the attraction of Night of the Mi'raj was that it introduces an alien land that not many people experience. 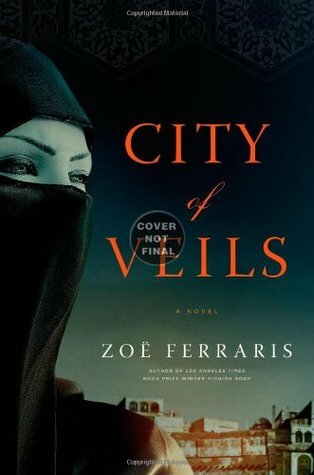 City of Veils feels even more immersive in Saudi Arabian culture - sometimes intentionally straying to the sort of scene a Western reader might have expected, but found missing in the first novel. Does it always convince? I'm not sure - the police is written about in a respectful and competent manner, and in many ways, these could be investigators in any country. Yes, there are cultural differences, but there are no fundamental differences in the characters of the people. Are people really more or less the same, all around the world, just adapting their lives into different behavioural patterns, but without deep-rooted differences? I don't know - this book makes it feel that way. It does not help that it's all written in English, so characters use swearwords like "f***" when things go wrong. Basically, everyone's speech patterns are American (with a few common Arabic words thrown in), while their behaviour patterns are Saudi. I enjoyed this book a lot. I enjoyed it more than the first novel - it has more tension and peril in it. I also think it would probably make a fantastic movie. But it is somehow not quite perfect: characters are a bit too self-analytical, a bit too explanatory, the narrative tone a bit too removed to be fully immersed. It's a novel that comes within grasping distance of genre-defining greatness, but can't quite capitalise on its great ideas and concept to their fullest potential. Well worth a read, definitely, but probably not a second, third or fourth read.